You can see that I’ve copied the code for the specific report I wanted (the MO Avg report) into the “Filename like:” field. Then I chose “text” for the document type (you can also choose pdf), and then I entered the date range I wanted into the “Custom Date Range” field. Be sure you use the proper formatting for the date. 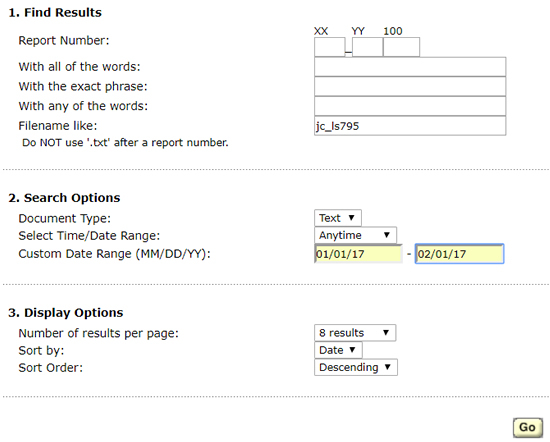 This will show you the dates of the reports within your date range. Click the link on the left beside the date you want, and it will take you to the report you want. « Time to Write the Book!